Rely on our comprehensive contract circuit board assembly services to take your concepts from the drawing board to your customers in the shortest time to market. Fast response with 24-hour turnaround for special requests is available to help speed up your production significantly. Using state-of-the-art circuit board testing and inspection equipment, we verify the accuracy, reliability and functionality of your PCBs. Clients trust in our expert PCB design advice and manufacturing feasibility reviews to avoid product commissioning delays and manufacturing expenses associated with rework. By managing every aspect of your circuit board assembly, including part procurement and inventory, we streamline production schedules and reduce cost. For over a decade, manufacturers of medical devices, industrial products, mobile/wireless devices, networking products, consumer goods, and semiconductor equipment trust us to provide them with quality and value. 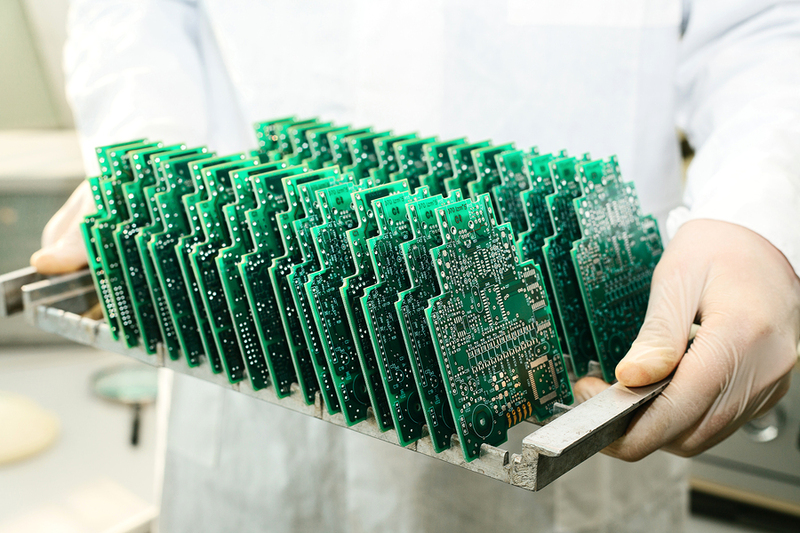 A lean approach to PCB contract manufacturing combined with economies of scale deliver cost-efficient circuit board assembly. Whether you need a prototype, quick turn or volume order, our team’s quick response, consistent quality and competitive pricing will give you a distinct edge in the market. Consult our contract manufacturing service experts on how to save time and cost on your next production schedule. The contract manufacturing team at AlphaEMS specializes in producing units quickly and more affordably. We will work closely with you for seamless and hassle-free product development. AlphaEMS offers services ideal for clients seeking to lower circuit board assembly time and cost while maintaining the highest quality of output. Flexibility, project management, and customer service are our strong suits. We have a modern facility with dedicated lines for prototypes and pilot runs, enabling us to provide you with expedited same-day service for time-sensitive projects. Located in the heart of Silicon Valley with easy access to three major airports (San Jose, Oakland, and San Francisco), we ensure fast and reliable service. As an ITAR compliant registered, ISO-9001, ISO-13485 and ISO-14001 Certified company, our hallmark quality guarantees your satisfaction. Leverage our world-class contract circuit board assembly services from AlphaEMS to improve your bottom line and your position in the industry. Call Alpha EMS at 510-498-8788 today or click to request a quote for contract circuit board assembly services.